THE CRYPTOCURRENCY STAMPEDE TAKES IT TO A WHOLE NEW LEVEL! Blockchain technology is taking over the financial service sector and recordkeeping industries! It's incorruptible, global, cross-boundary, instant, trustless, and decentralized – blockchain database implementation is a REVOLUTION! We alerted on Ripple (XRP) on December 12th at $0.27 and in 3 weeks, it’s up over 1,000% – there are insane potential gains to be made, going forward. Become educated, stay engaged, learn all the basics, avoid the pitfalls, and charge ahead full steam. 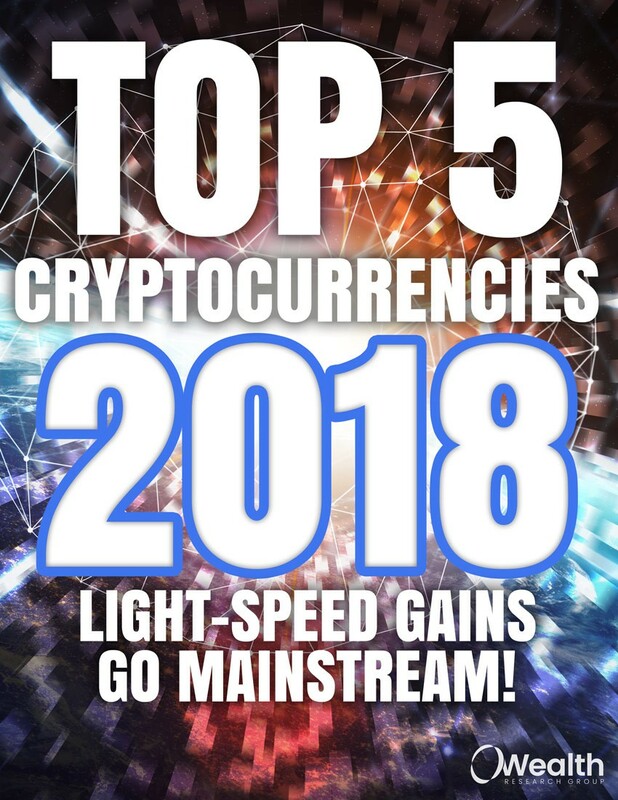 Download TOP 5: 2018’s Most Prolific Altcoins NOW!